“I’ve been broke, but I’ve never been poor. Do souls communicate with us after their physical death? Apparently they do, in many ways. They use all forms and methods to get our attention and the book written by Bill and Judy Guggenheim called “Hello From Heaven” is an extensive documentation of such real life cases. However, not all encounters give us detailed messages from these souls. One of the best ways of obtaining validations is by engaging those who have an uncanny ability to talk to the ‘dead’. Generally, they are called mediums , who perform an intermediary role of relaying information back and forth with residents of the Other Side. One of the more profound cases involve a soul named Erik Medhus, who ended his life by committing suicide with a pistol, when he was only in his twenties. His mother, a doctor, was devastated and went on the path of seeking answers from many sources including engaging mediums. The information she received from her son went beyond talking about why he ended his life. 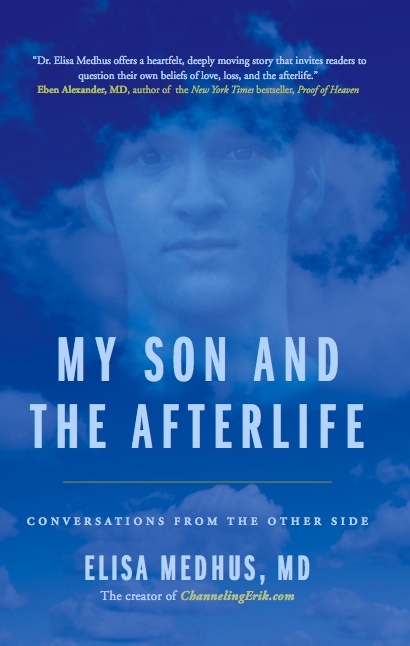 A book was compiled based on such, and bears the title, “My Son and the Afterlife”. The book touches on many topics, ranging from our life purpose, God/Source, consciousness of plants, animals, energy manipulation, telepathy, Afterlife dimensions, etc. .
Thankfully, I find the information shared is very consistent with the works of legendary psychic Edgar Cayce, renowned mediums Lisa Williams & James Van Praagh and in-between lives regressionist Dr. Michael Newton. As they say, knowledge enlightens. When one understands more about the expanded consciousness in Afterlife, this present human lifetime becomes more tolerable and meaningful. In addition, our fear of death, which often is caused by an absence of knowledge, also starts to dissipate.